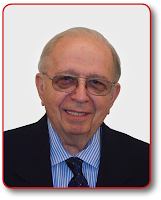 Peter Mikolaj has been actively involved in risk management and insurance activities for more than 30 years. He taught at the Indiana State University (ISU) Scott College of Business until 2013 where he retired as Professor Emeritus of Risk Management and Insurance. During his 24 year teaching career at ISU, he focused on risk management and employee benefits and taught both traditional and online courses. In addition to his teaching responsibilities, he chaired two major university employee benefit studies. Prior to joining ISU, Dr. Mikolaj spent 6 years as an officer of a state hospital association malpractice insurance company where his major responsibilities were to obtain insurance department approvals for malpractice rates and product filings in several states as the company expanded. He had also worked for the hospital association to establish an awareness and structure of hospital risk management programs. Dr. Mikolaj had an active consulting practice with the healthcare industry during his teaching career. This practice included; evaluating risk management and insurance programs, preparing loss estimates for funding self-insured liability programs, conducting broker reviews and selections, designing computerized risk management information systems, assisting hospital medical committees analyze patient outcome results, and acting as a statistical expert witness in hospital administrative law adjudications. Dr. Mikolaj is a member of an interdisciplinary center at Indiana State University that is studying the impact of genomic sequencing on public policy, healthcare, and business including health insurance. He is currently working with a major metropolitan city to determine the feasibility of incorporating genetic testing into their “first responder” wellness program. “Using Multimedia to Scaffold Hybrid/Online Student-Centered Learning.” 2013 Society for Information Technology & Teacher Education International Conference, New Orleans, Louisiana, March 27, 2013. “Student Perceptions of Using Multimedia in Experiential E-learning.” 2010 Association for Educational Communications and Technology AECT International Convention, Anaheim, California, October 30, 2010. “Teaching Enterprise Risk Management: A Modeling Approach,” ELEARN 2006, World Conference on E-Learning in Corporate, Government, Healthcare and Higher Education, Honolulu, Hawaii, October 16, 2006. “Hospital Litigation: Risk Management Implications”, Western Risk and Insurance Association, Las Vegas, Nevada, January 4, 2004. "Fundamentals of Insurance," Risk and Insurance Management Society (RIMS), Costa Mesa, California, February 10-11, 2003. "Risk Financing: Techniques and Applications," Risk and Insurance Management Society (RIMS), Nashville, April 2-4, 2001. "Workers' Compensation," U.S. Postal Service, New York City, February 26-28, 2001 and March 5-7, 2001. “Genetic Information and Risk Classification in Individual Life and Health Insurance,” American Risk and Insurance Association Annual Meeting, Boston Massachusetts, August 18, 1998. “Applications of the Piecewise Constant Pareto Distribution,” Western Risk and Insurance Association Annual Meeting, Santa Barbara, California, January 6, 1997. "Maximum Likelihood vs. Least Squares to Model Large Losses," Western Risk and Insurance Association Annual Meeting, Las Vegas, Nevada, January 15, 1995. "Variability of Loss Reserves", Annual Meeting of the American Risk and Insurance Association, Washington, D.C., August 18, 1992. "Financial Considerations, Loss Forecasting, Reserve Estimation, and Selecting Optimal Retentions," North Central Regional Risk and Insurance Management Society (RIMS) Conference, Indianapolis, Indiana, October 23, 1992. "The Use of Layer-Specific Constant Probability Density for Determining the Variance of Aggregate Loss," Western Risk and Insurance Association Annual Meeting, Las Vegas, January 5, 1991. "Hospital Insurance Coverage," Ohio Society of Hospital Risk Managers Workshop, Columbus, Ohio, March 11, 1991. "Underwriting Excess Layers by Risk Adjusted Cost," American Risk and Insurance Association Meeting, San Diego, August 19, 1991. "Evaluating the Sensitivity of Prediction Model for Large Losses: Empirical Study," Annual Meeting of American Risk and Insurance Association, Orlando, August 21, 1990. "Clinical Statistics for Physicians," Medical Residents Educational Program, Doctors Hospital, Columbus, Ohio, 1988. "Organizing a Statistical/Data Quality Function", National Data Quality Seminar, Insurance Services Office (ISO), October 17 & 18, 1983, New York, New York, 1983. “Using multimedia to scaffold hybrid/online student-centered learning.” In R. McBride & M. Searson (Eds. ), Proceedings of Society for Information Technology & Teacher Education International Conference 2013, pp. 562-567. “Teaching Enterprise Risk Management to Undergraduates: Risks and Rewards.” University Risk Management and Insurance Association (URMIA) Journal, 2008, pp. 64-78. “Hospital Litigation: Risk Management Implications”, CPCU eJournal, Volume 56 No. 4, April 2003, pp 1-18. “Collaborative Problem Solving in the Online Environment: A Case Study of a Web-based Undergraduate Business Course,” Proceedings of ED-MEDIA 2002, World Conference on Educational Multimedia, Hypermedia & Telecommunications, June 24-29, 2002; Denver, Colorado, pp. 653-658. "Facilitating Web-Based Instruction: Formative Research on Improving an Online Undergraduate Course," Quarterly Review of Distance Education, Volume 2, Number 3, Fall 2001, pp. 209-220. “Genetic Information and Risk Classification in Individual Life and Health Insurance,” Journal of the American Society of CLU and ChFC, September 1998, Volume LII, No. 5, pp. 44-52. “Applications of the Piecewise Constant Pareto Distribution,” Research Review, Journal of the Society of Insurance Research, Summer 1998, Volume XI, No. 2, pp. 39-59. “Should an Insurer be allowed to Incorporate Genetic Information in Individual Medical Expense, Disability, and Life Insurance Risk Classification System?”, Journal of the American Society of CLU and ChFC. 1998, pp. 44-52. “Discounting Loss Reserves,” Research Review, Journal of the Society of Insurance Research, Volume IX, No. 2, pp1-10, Summer 1996. “Underwriting Best Shares of Excess Layers", Casualty Actuarial Society Forum (Winter 1994 Edition) pp. 107-127. "The Use of Layer-Specific Constant Probability Density for Determining the Variance of Aggregate Loss", Research Review, Journal of the Society of Insurance Research, Volume VI, pp. 47-66, October 1993. "Underwriting Best Shares of Excess Layers", Journal of Insurance Issues, Volume 16, pp. 41-58, October 1993.